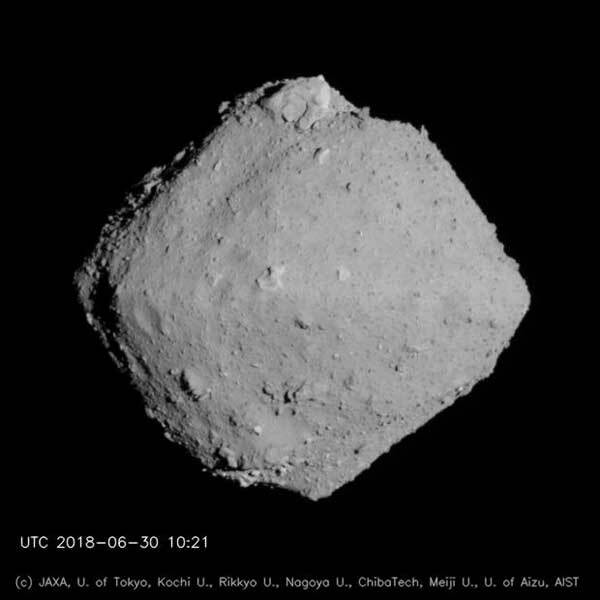 That leaves Didymos’s orbiting moonlet ‘Didymoon’ as the smallest of all asteroids scheduled for robotic inspection, at just 160 m across. 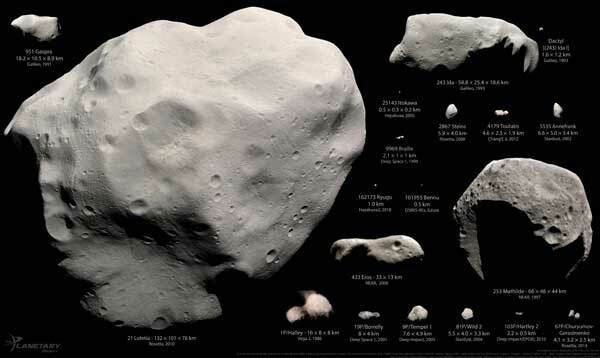 “Didymoon’s miniscule size really becomes clear when you look at other asteroids,” comments Hera’s lead scientist Patrick Michel, CNRS Director of Research of France’s Côte d’Azur Observatory. Its diminutive size was the reason Didymoon was chosen for a pioneering planetary defence experiment. 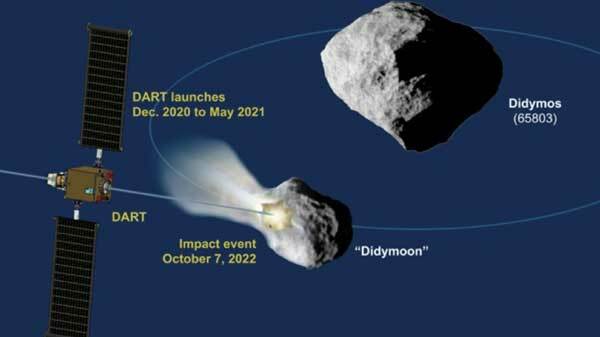 In 2022, NASA’s DART spacecraft will impact Didymoon in an attempt to change its orbit around its larger twin, to test the feasibility of asteroid deflection. 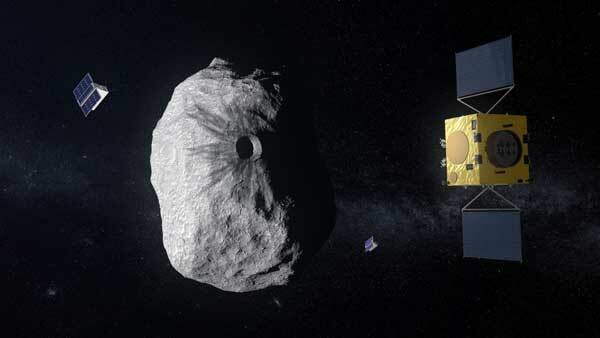 After the impact, Hera will survey the Didymos asteroids in 2026 to gather key information that will not be available from Earth-based observations, including Didymoon’s mass, its surface properties and the shape of DART’s crater. 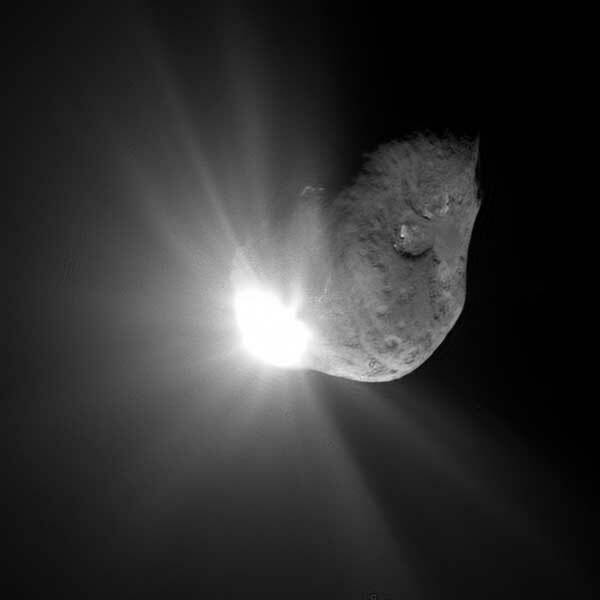 The Didymos system is also attractive in terms of bonus science, offering insight into the formation of the binaries that make up around 15% of known asteroids. “Didymos is spinning very swiftly, rotating once every two hours,” says Patrick. “Around its equator, its weak pull of gravity could be overcome by centrifugal force, potentially leading to material rising from the surface – the leading theory of where Didymoon came from. So landing on the equator would be impossible; you would have to touch down near its poles instead. Science is everywhere at ESA. As well as exploring the Universe and answering the big questions about our place in space we develop the satellites, rockets and technologies to get there. Science also helps us to care for our home planet. All this week we’re highlighting different aspects of science at ESA. Join the conversation with #ScienceAtESA.